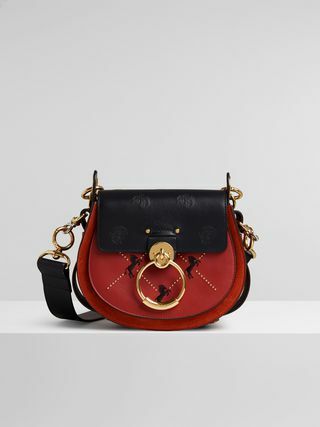 The Roy line's elegant mini bucket bag is crafted from smooth calfskin, offset by a cotton canvas drawstring closure for laid-back appeal. 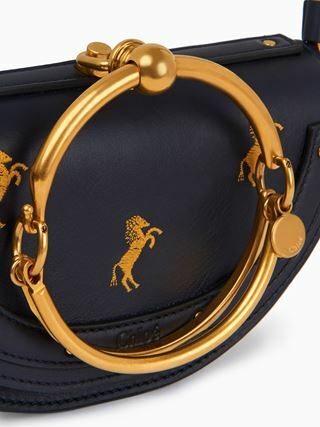 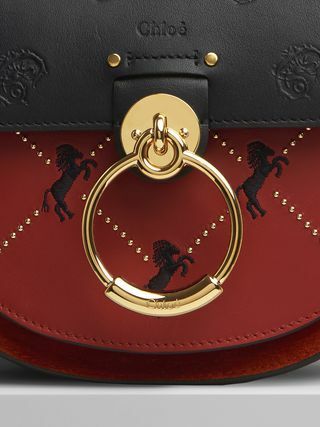 This version contrasts the little horses embroidery and quilt-effect studs with the debossed Baroque "C" motif. 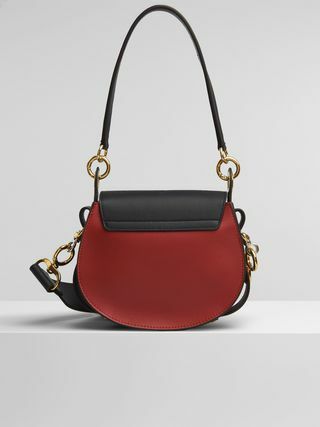 The elegant interplay of colours, textures and patterns creates a graphic allure. 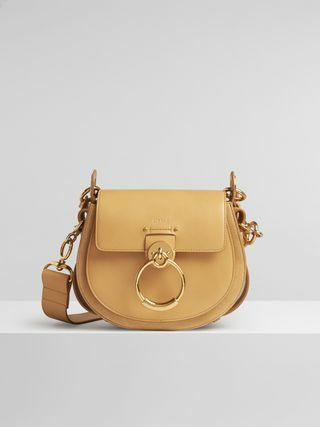 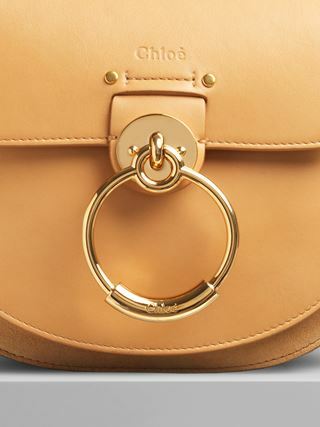 Piercing oversized rings in Chloé's signature "O" shape adorn the sides, while the bottom is contoured by gold-toned studs. 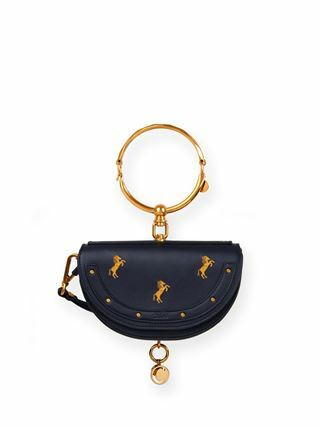 A short tonal leather strap and removable long strap mean you can carry Roy any which way.